The Danish Farm Dog is an all-purpose farm dog in Denmark and Sweden. He helps to control vermin like rats and herding. He is also a good natured family dog. The Danish Farm Dog looks a bit like a Jack Russell or Fox Terrier. He weighs about 25 pounds and stands about 15 inches tall. His tail is long or naturally bobbed. He has folded ears set high on the sides of his head and a moderately long muzzle. The chest of a Danish Farm Dog moderately deep and he has strong hindquarters. The Danish Farm Dog has a short smooth coat which requires little brushing. His coloring is generally white with brown, white with red, white with black, or tri-color. 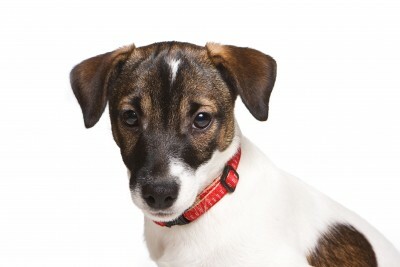 While he resembles a Fox Terrier, his personality is a little less terrier-like and there are other subtle differences in body and head-shape. The Danish Farm dog requires lots of exercise and mental stimulation. He is a lively and intelligent dog who does well indoors or out. He is good with children and other dogs, but may not do well with smaller rodent-like pets such as hamsters. We learned about the Danish Farm Dog from The New Encyclopedia of the Dog by Bruce Fogle. To learn more about this dog breed and other dog breeds from the US and around the world, you can purchase this book at our Amazon.com affiliate store called Dog Lover’s Book Store. This entry was posted on July 14, 2011 at 7:18 am and is filed under Dog Breeds. You can follow any responses to this entry through the RSS 2.0 feed. You can leave a response, or trackback from your own site.